A few things: being on-trend doesn’t guarantee long-term success, buzz doesn’t always equal sales, and focusing too much on trends can keep you from putting your budget and energy where it really matters. That’s not to say there aren’t good articles on marketing trends out there. That’s not to say there aren’t completely valid and effective marketing trends that you should stay in the know about. What we’re saying is this: a constant struggle to stay trendy in the marketing space could cloud your judgment and keep you constantly chasing after that newest, shiniest thing, when really long-term focus on the basics is what’ll get you the strongest and steadiest results. 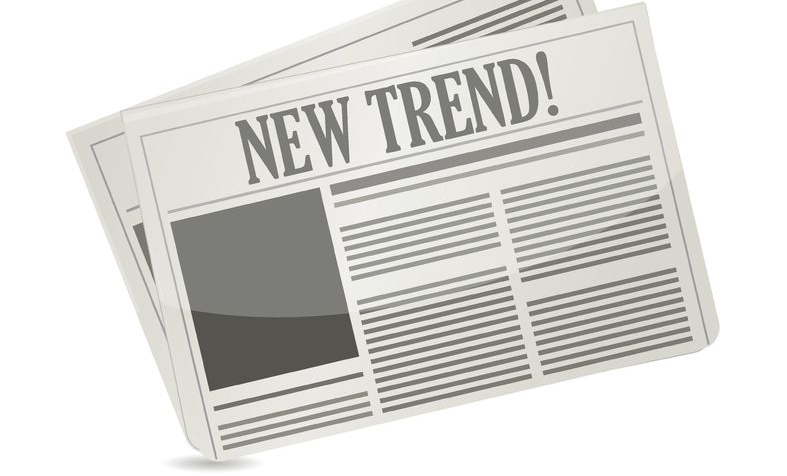 Here are 5 trends to steer clear of this year, either because they're all based on empty hype or because there are more important things to worry about first. Oh, and do you mind if we send you notifications? Even though this is the first time you’ve ever laid eyes on our site and you’ve only been here for .2 seconds and you don’t even know who we are yet? Stuff like this—pop ups and requests to allow browser notifications—is downright invasive. They can be done right—that’s true. But most of the time, they aren’t. What’s worse, lazy and disingenuous attempts to connect like these often only leads to companies inadvertently distancing themselves from potential customers. In the dating world, tactics like these might even be called desperate. Some people even claim that popups are the doorway straight to hell. I’m not saying you should never use popups, but first, consider the buyer’s journey. What reason do they have to sign up for your this thing! or that! or any kind of lasting personal contact with you before they’ve even spent a minute on your website? None. Just none. As far as trying to build meaningful and symbiotic relationships online goes, it’s a shot in the dark. You might get lucky and get another newsletter sign up, sure—but is it really a potential customer that wants to form a relationship? Or is it just someone who gave you a junk email address? Are you wasting each other’s time? What to do instead: Earn their trust first. Give them a reason to initiate a relationship and they will. Make it easy for them to sign up, sure—but you don’t have to be in-your-face about it. Take a subtle approach and if you choose to do one, select an exit intent form that comes up when they are leaving the page. This way you are not interrupting any aspect of their browsing experience and for heavens sake, don't insert a popup on a mobile phone! Use content marketing and prove your value to your visitors. Then—I promise you—they won’t mind scrolling to the bottom of the page or using the sidebar to enter their emails in a sign up box that isn’t a flashy and bothersome pop up. 2. Keywords! Meta! And Backlinks, Backlinks, Backlinks! The problem is when we’re so focused on these technical SEO tactics that we forget that what really matters is what we’re saying. Who we’re talking to. What content they need to see. We definitely do want you to care about your keyword use, meta tags, and backlink use. They’re basic SEO tactics because they work. What we don’t want you to forget? That ultimately, SEO always comes back to the people on the other side of the screen. And that content is the strategy; keywords, meta, and backlinks are just the tools. Try this first: Remember that it’s not just about attracting a lot of visitors—it’s about attracting the right visitors. So relax—you don’t need to hit big numbers right off the bat. Focus on producing the right content first. Focus on your target market’s needs first. Once you’ve got a good handle on that, then you can worry about covering all the other bases. Be natural about it and shoot for genuine helpfulness now; go back and add in the meta and backlinks later. In the meantime? Try a simple plugin like Yoast, or the embedded SEO tools that Hubspot provides which gives feedback on a webpage’s SEO effectiveness. You don’t need to put too much stock into it for now; just having the plugin and peeking at it before you hit publish will give you an idea if you’re on the right track, even if you're sticking to the basics first. 3. Use THIS new social media platform. And THIS one. And THIS one. Until you're trying to juggle a million balls in the air. And you end up dropping a few. And then you drop all of them. And then one of them falls into the dark and empty pit that is Silicon Valley’s collection of lost and broken toys. Is it just me or is there something new that we must! join! now! just about every year? I’m not saying all new social media platforms are doomed to fail, but I am saying that you should stay wary and not automatically assume that every single one of them is worth your time and resources. And it’s not just about whether or not they have a proven track record and seem likely to stick around (and even when they do have a strong track record, it’s never a sure thing; look at Vine! )—it’s also about your business. Your customers. Should you use Pinterest, Instagram, Snapchat, Periscope, Medium, or Tumblr? Should you even be using all of the big guys like Twitter, Facebook, Google+, and LinkedIn? For most B2B business the answer is yes to the big four however your strategy for each should be unique. Again, it depends. On what you do, on what you sell, on what your customers want. It’s something you’ll have to decide yourself. Just remember this. In order for you to succeed on a greater number of platforms, 1 of 2 things have to happen: 1) you’ve got to put more time, effort and money into social media strategy or 2) you’ve got to settle with a diluted social media presence. There’s no way around this tradeoff, so choose wisely when it comes to deciding how many platforms you’ll stay active on. We recommend: Figure out where your customers are and follow them. Focus on the must-haves first, the top 1 to 4 platforms your customers use and love. Tackle those first, worry about the rest later. There are market studies proving that video marketing works. Can’t argue with that. We especially believe that video, when produced properly, can make a personal connection with website visitors, but it has to fit into your overall content strategy. But will video work for everyone? What about the small-teamed, small-budget startup that blows their whole budget on a 90-second video? Will it work for them? We don’t know, and that’s just the thing—video can be expensive, and so inherently involves more risk than other content types. Marketing through different mediums is always a tradeoff: if you’re blowing your whole budget on a marketing video you’re not even sure will work (and how could you be absolutely sure? ), you’re spending less on other marketing strategies. That’s the nature of scarcity and eggs and baskets and all that, my friends. Reading an article on how video content is the new golden goose of marketing and assuming it’s automatically right for you is careless. Take ownership for your marketing strategy, do some research first and then decide how video fits into it. Instead, try this: If you’re a small venture, content marketing comes in many forms, and it makes more business sense to start with less expensive forms like blog posts, graphics, and PDF downloadable assets like info guides, case studies, and worksheets. Create the foundation of the content you need to address the questions that modern buyers have at each stage of their journey for information. Once that is in place, if you have a content need that is served best by video, then invest enough to produce a high quality result. After all, that video must represent your brand properly. Last year it seemed like everyone with a keyboard was blogging about how Pokémon GO was the big new marketing tool that we all needed to be using, especially for B2C businesses. My big beef with the all the Pokémon GO hype? Articles from high places like Forbes and Entrepreneur spoke of Pokémon GO with so much fervency that they made it sound like everyone should be using it—and you’re not using it, brace yourself for some serious FOMO and missed marketing opportunities and don’t be surprised when you look like an out-of-touch person. But what if your customers are…well, business executive that has no interest in Pokémon GO? Or the busy saleswoman who doesn’t spend a lot of time gaming on her phone? Or the guy who just doesn’t like video games? Or the B2B person who mostly uses a desktop computer at work? Try this first: Before you go throwing money at website overhaul that boasts impeccable responsive design, focus on good mobile SEO hygiene. Of course, if your website is way out of date then your best bet might be a new design that also addresses the mobile responsive requirement. And it doesn’t need to be an angry and negative type of skepticism. But viewing the marketing landscape with an optimistic and open-minded skepticism is a great way to weed out the stuff that won’t matter in the long haul and to call out marketing noise for what it is—empty hype. Then you get to focus on the important stuff. The stuff that counts. The stuff that works. Our biggest piece of advice is this: don’t substitute a think piece on marketing trends—which a lot of them are, unfortunately, and not actually based on research—for doing your own real market research and thinking through your own target personas and what they want. Because we want real customers. Real connections. We want customers that want to sail along happily through our sales funnels getting exactly what they need from us. What we don’t need are the big, faceless, (and often non-paying) numbers that often come from chasing trends. So try this instead: focus on genuine engagement and marketing basics first. That’s when connection happens—a real connection that’s sure to stick around long after the latest trend fades into short-lived marketing history. 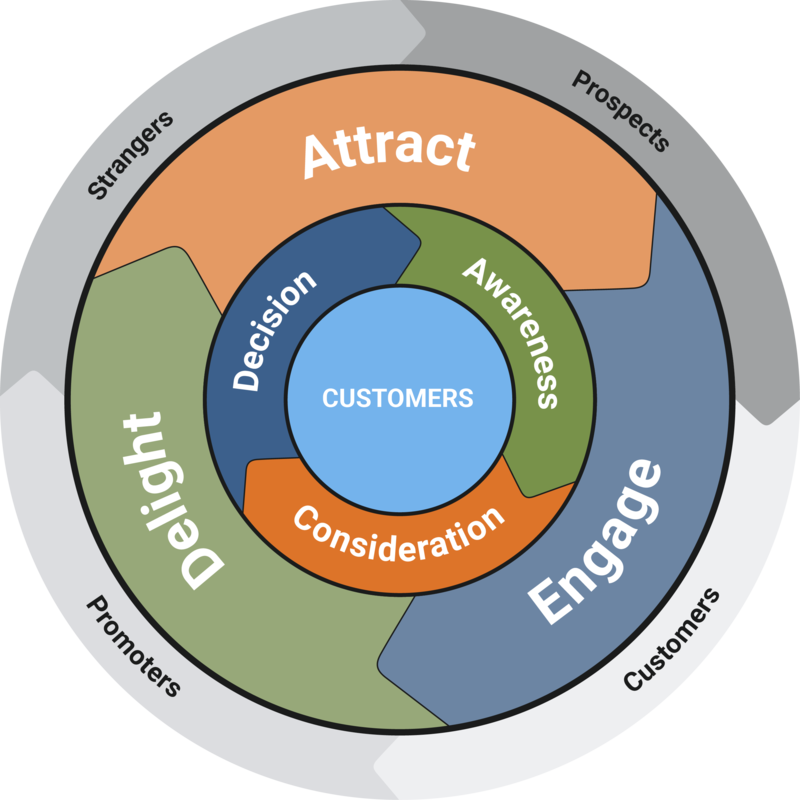 We favor the Inbound Marketing methodology because it is genuine and provides value to the website visitor with every touch. If you are new to Inbound, then consider downloading this free guide.